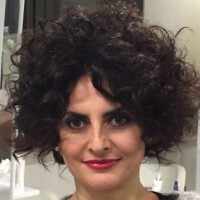 Giovanna Galluccio is a distinguished Human Resources professional based out of Italy, with over 25 years of experience. Giovanna’s experience includes managing the staffs of various organizations within multiple industries. She has vast experience in the Information Technology industry, and in recent years, has gained an in-depth perspective over the e-commerce, leisure, and tourism sectors. Giovanna is currently the HR Director for Venere, a subsidiary of Expedia.com, working with the leadership teams of both organizations, providing HR support, and ensuring they uphold company policies and regulations. She attributes her success and fruitful career within the Human Resource industry to truly having a passion for working with people, being open-minded, flexible, and having a global perspective when working with different cultures.